Today’s modern man is more sophisticated than his predecessors. The days of smokey stag parties are over. If a man is about to tie the knot with his fiancée, an epic adventure should be undertaken to create a memorable bachelor party. If you’re in this current situation, you might want to rent a four wheeler. Estes Park ATV Rentals is here for all of your four wheeler rental needs in colorful Colorado. Our company is based on the idea that all people need to enjoy their quad rental experience is the gear needed and the freedom to explore off road trails. Don’t settle for boring — try an awesome outdoor adventure!oday’s modern man is more sophisticated than his predecessors. The days of smokey stag parties are over. If a man is about to tie the knot with his fiancée, an epic adventure should be undertaken to create a memorable bachelor party. If you’re in this current situation, you might want to rent a four wheeler. Estes Park ATV Rentals is here for all of your four wheeler rental needs in colorful Colorado. Our company is based on the idea that all people need to enjoy their quad rental experience is the gear needed and the freedom to explore off road trails. Don’t settle for boring — try an awesome outdoor adventure! Bachelor parties are often multifaceted and include multiple stops throughout the day (or days). Don’t worry about the logistics of utilizing four-wheeler rentals. Our business takes all of the stress out of your off-roading adventure. Our fantastic rental rates include the taxes and helmets so everything is quick and simple. Your squad can rent a quad or more and be hitting the trail in no time. All the wedding party has to do is show up to fill out our paperwork and go through safety orientation. Then you drive to the parking lot where your four wheel machines are waiting. We cover the vehicle transportation so you can focus on the fun! Nothing is more enjoyable than taking in Roosevelt National Forest at your own pace. Cruising along with a tour group under the watchful eye of a strict guide can be a real let down. You and your groomsmen will be happy to hear that this viewpoint is why we cut you loose. 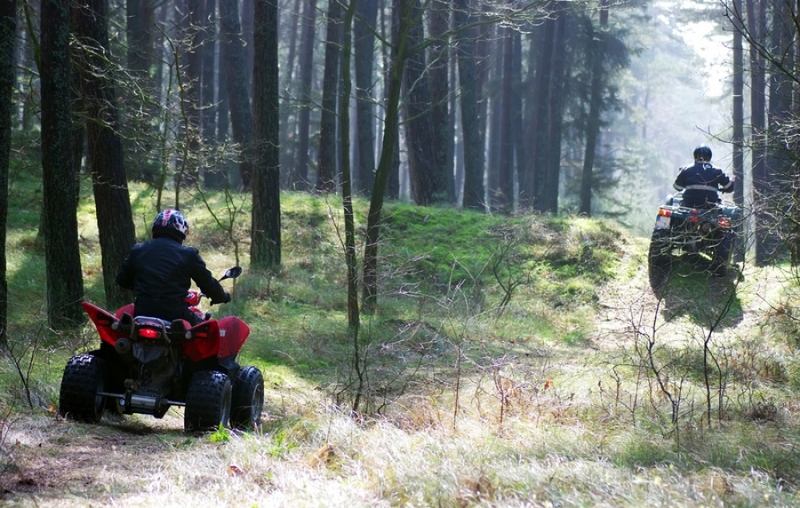 You’ll receive a map and expert advice and then it’s up to you to pick the most attractive four wheeler trails. The only reason to change your pace is our start and end times. You and your buds are here to have an adrenalized adventure, and we understand! If you and your crew are searching for the optimal bachelor party experience, look no further! We offer UTVs of different sizes to accommodate any group size that walks through our door. With more than forty years of experience, our top-quality instructors will ensure that you get the most out of your trip. Everything that is needed for an off-road adventure is provided. Whether you’re looking for a three or seven-hour adventure, we’ll help you achieve your adrenaline goals. Interested in our amazing four-wheeler rentals in Colorado? Contact us today!